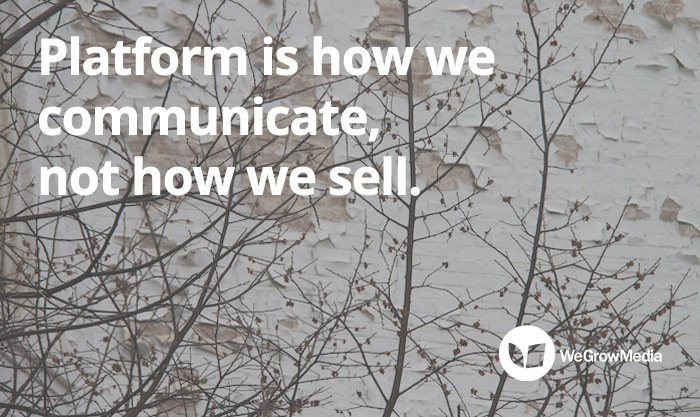 Platform is how we communicate, not how we sell. Platform is about the same human qualities of connection that have existed for thousands of years, not something developed because of the internet. 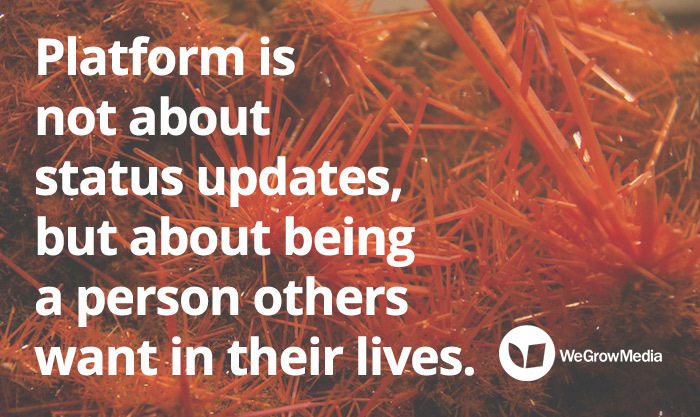 Platform is not about status updates, but about being a person others want in their lives. 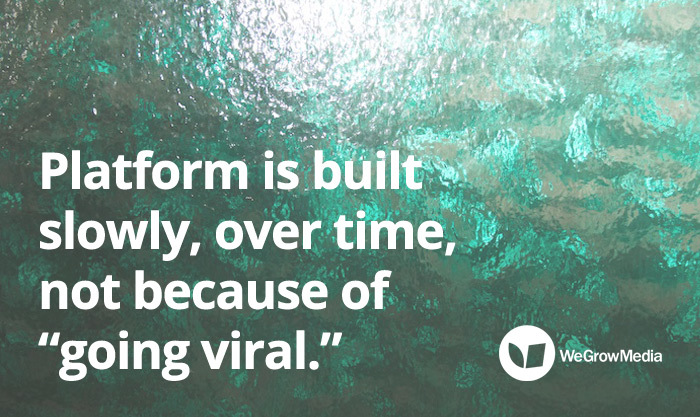 Platform is doing that which matters most in your lifetime, and disregarding the rest. 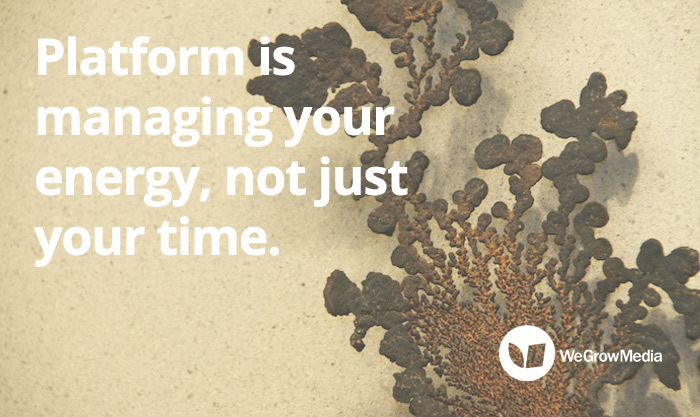 Platform is managing your energy, not just your time. 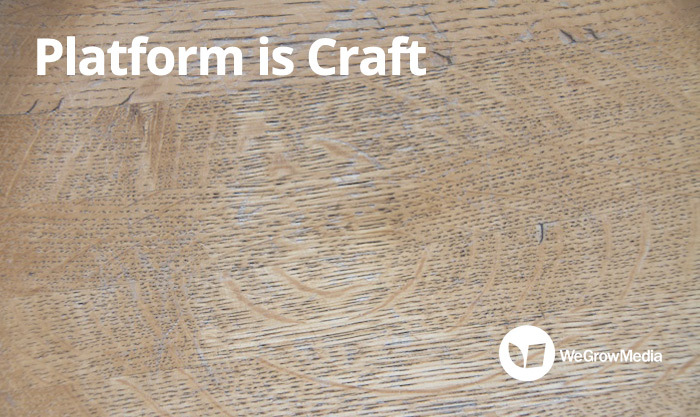 Platform is prioritizing the impact of your creative work and the relationships that will create your best memories. 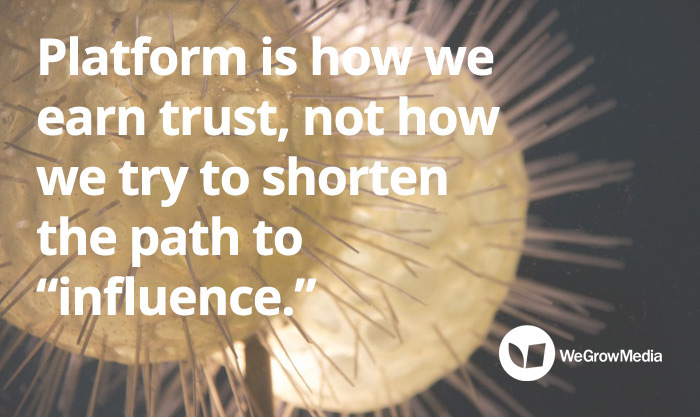 Platform is not about leveraging other people’s credibility, but establishing the basis of a lifelong friendship. In a world where we rush; where we constantly check our texts/emails/phones; where the TV is always on, platform is how we make time for the human connections which matter most. 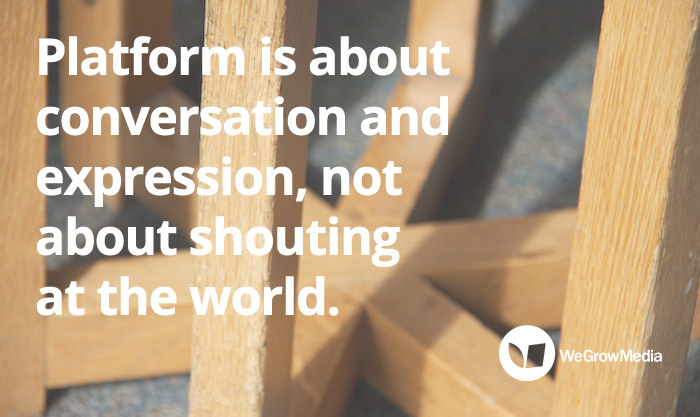 Platform is one conversation at a time, one expression at a time. It is not shouting at the world all at once. Platform is developed slowly, as we find a way to better communicate and earn trust. Platform is how we develop the skill to share, to come together, and create a shared vision for what is, and what is possible. 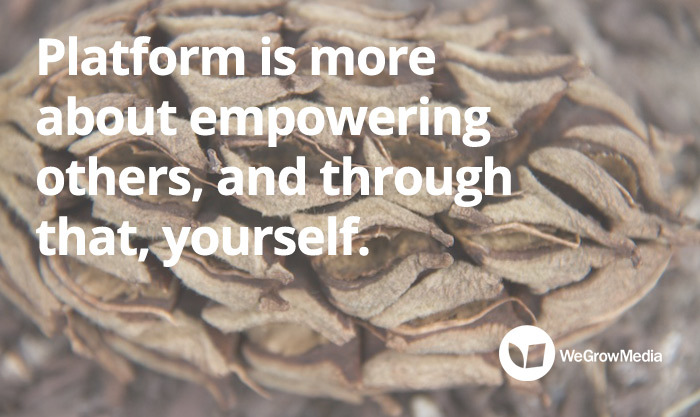 Platform is more about empowering others, and through that, yourself.